Want to set up Google Analytics on your website? You’ve come to the right place! Everyone says Google Analytics is fantastic for understanding your visitors, website, and online biz. But how the heck do you get started with it? 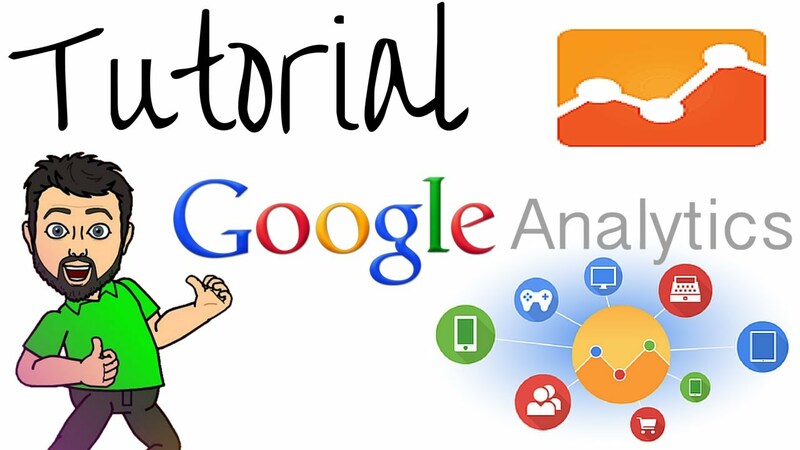 Get started with Google Analytics today! Google Analytics can seem hard at first. However, if you followed this tutorial then you’ve set up an Analytics account and linked it to your website. Google Analytics is tracking your visits and you’re well on your way to becoming an Analytics ninja. You are awesome! After a couple of days, you’ll start to see some visits appear in your Google Analytics. But how do you make sense of it all? What can Google Analytics actually tell you about your visitors, site, and business? Never fear, dear reader. I have answered these questions — and more — in another article! Go to the Google Analytics website. Begin the Analytics signup process. Website / Mobile app: Google Analytics lets you track visits to your website, as well as usage of mobile apps. Since you want to track your website traffic, make sure Website is selected. Account Name: This will usually be the name of your business. You can track several websites (known as properties in Analytics-speak) under one account, but in this tutorial you’ll just track one site. Website Name: Enter the name of your website here. Website URL: Enter the URL (web address) of your website’s homepage — for example, www.example.com. If your website uses HTTPS — which is usually a good idea — then click the button to the left of the URL text field and change http:// to https://. Industry Category: This setting is optional. If you set it to your biz’s industry then it helps Google tailor their reports, communications and educational tools to your needs. It doesn’t affect your visitor tracking at all. Reporting Time Zone: Pick your time zone to make sure the reports use the correct times for your location. Data Sharing Settings: These settings control what Google does with your Google Analytics data. They’re all selected by default, but feel free to deselect any of them. You can always turn them on again later. Your Tracking ID: This is a unique string of text that identifies your Google Analytics account and website. In the screenshot above it’s UA-XXXXXXXX-1, but your Tracking ID will contain digits instead of the Xs. Open a new browser tab. Visit your WordPress admin URL, enter your admin username and password, and click Log In. Search for the GA Google Analytics plugin. In the left-hand admin menu, choose Plugins > Add New. In the Search Plugins box at the top right of the page, type ga google analytics and press Return. After a short while, the Install Now button should change to say Activate. Click the button to activate the plugin. In a few seconds, you’ll see the message Plugin activated appear at the top of the page. Enable Analytics and Universal Analytics. Turn off tracking for your own visits (optional). Open a new browser tab and visit your WordPress admin page. Enter your admin username and password and click Log In. Find the Header Scripts box. Scroll down the page until you see the Header Scripts box. It’s inside the Header and Footer Scripts section. Copy and paste the tracking code. Click the Save Changes button at the bottom of the page to save your tracking code. If you’re not using a Genesis theme then your admin page will look different, but there is usually a box called something like Header Scripts or <head> Code somewhere in the theme settings. Do you have any questions or roadblocks with setting up your Google Analytics? Feel free to ask them in the comments below!